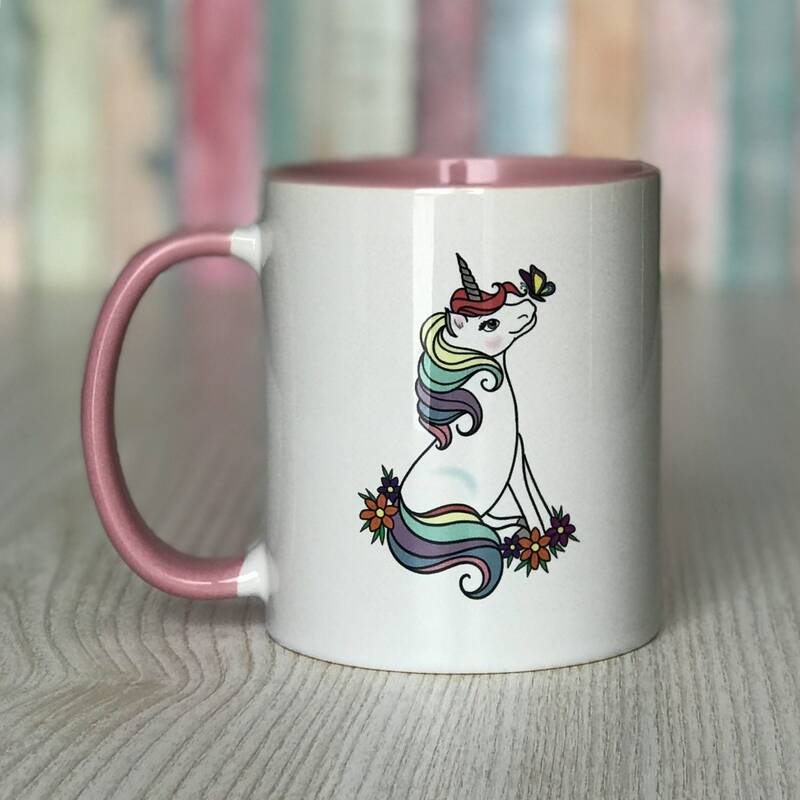 Sitting unicorn design ceramic drinking mug. 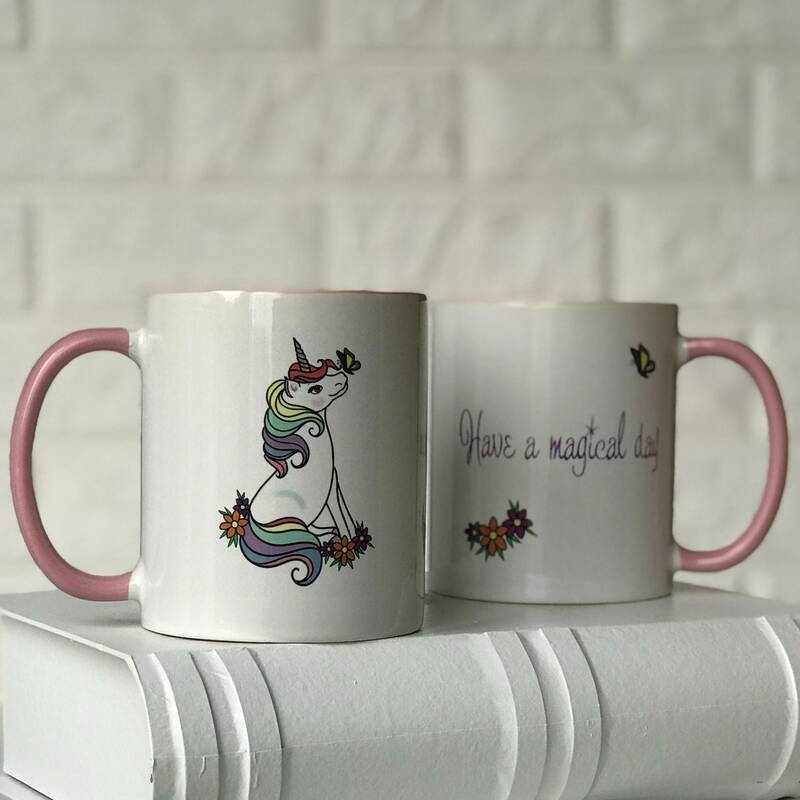 Unicorn design on one side and wording 'Have a magical day' on the other side. 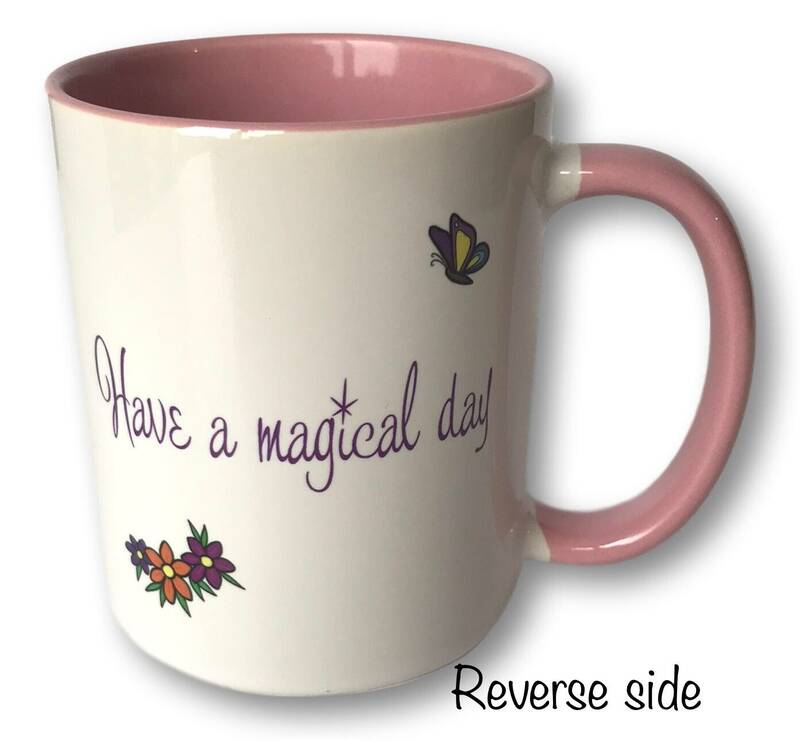 Pink inside and pink handle. 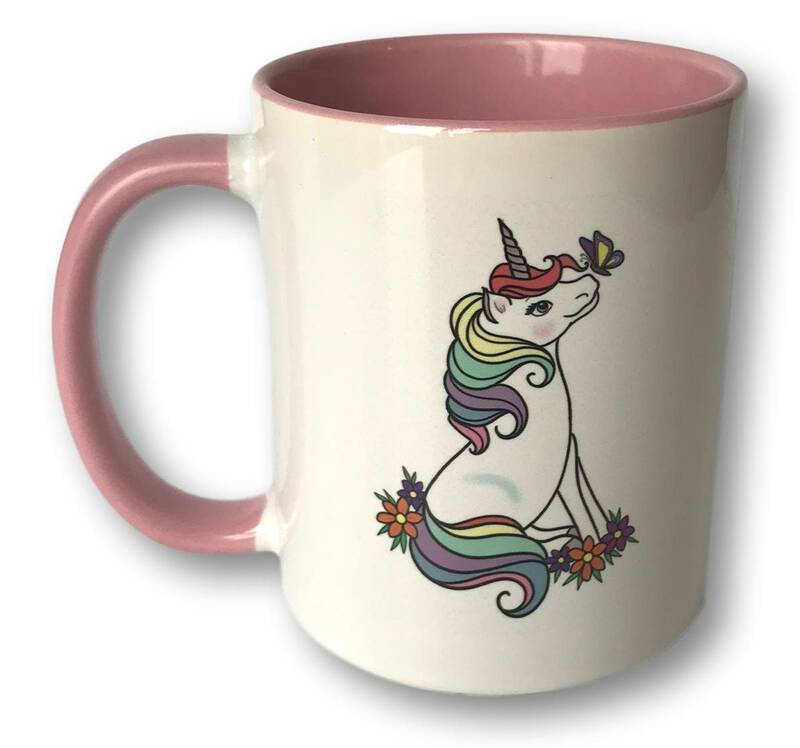 The unicorn design is unique to Pomme d'Or Gift Ideas.